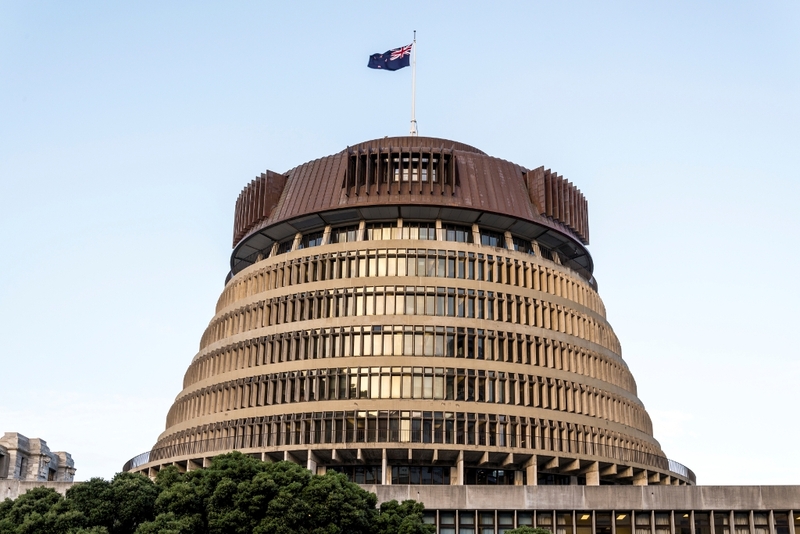 What does 2019 hold for immigration to New Zealand? Worsening skills shortages and dealing with it will dominate as the Government recognises we simply do not have the people or skills to fill the tens of thousands of jobs that continue to be created here every year. The immigration year began, as it usually does, with the perennial whining of Immigration New Zealand about backlogs in processing everything from visitor, student and work visas to the allocation and processing of skilled migrant resident visas. I’d suggest to INZ management that rather than tell us when there is a backlog, make it news by telling us when there isn’t one. Media reports of people waiting 4 hours (!) to speak to someone at Immigration New Zealand Zealand to ask a question are making the news. The Department has been moaning it cannot find people to fill its call centre. Welcome to the world of all local employers, INZ. These backlogs in processing are caused in part by increases in applications for work visas caused by employers needing to source skills and labour from offshore or from visitors in NZ on tourist visas. It is also caused by INZ not being able to recruit half decent people to replace the one third of its staff who leave every year leading to a workforce of inexperienced officers. In a labour market with 3.9% unemployment and virtually no skilled unemployment, finding even half decent people to join most companies is currently nigh on impossible. That is also at the heart of INZ’s own problems - they too recognise and grapple with the fact that anyone with half a brain or a desire to work is working. The fact that in the end, most half decent immigration officers leave once they realise the type of culture that exists within the department, results in an organisation bottom heavy with types you’d not usually employ in your own business - English language proficiency being one of the greatest issues. A few good people work their way up the food chain and are conspicuous in their small number. I thank my lucky stars we get access to them or our work would become intolerable. As always, rather than Government asking themselves if they are part of the problem and looking for better ways to assess and process visas (like, for example partnering with reputable private sector immigration consultants - still standing by! ), we have yet another round of proposed changes - this time to work visa policy. It is as if changing rules is the answer to the ills that beset not for profit organisations with no competition. Obviously, markets and conditions change and policies need to catch up. But that’s the problem - in my 30 years of having input into immigration policy reviews, all Governments seem to be 12-18 months behind the labour market and what is trending. Are the current work visa settings not working? I’d argue they are. Any change that might discourage employers from employing non-residents would be a disaster for an economy with so much job creation going on and so few people to fill jobs. If I could be bothered making a submission to Government on this latest proposed round of changes to work visas, I’d tell those looking at making change that change for changes sake is not a good reason to do anything. Work visa policy by and large is well designed, well thought through and working - the issue is the bureaucrats, not the rules. Every new Government wants to make its own mark and let us all know how the ‘previous administration failed’. This one said so in its press release This Government, and particularly the current Minister of Immigration, has an itch over ‘migrant exploitation’ and comes from a union background so tends to believe, it seems, that employers see staff as commodities rather than the only real asset that they have that need to be cherished, nurtured and made happy. ‘Consultation’ then on changes to work visa process have been announced. This appears, at least at face value, to be a tidying up of the current settings as opposed to anything more radical. No wholesale changes are on the table. It is true that there are many different ‘flavours’ of work visas that have evolved somewhat piecemeal down the years but the foundation of all virtually all work visa policy has long been to ‘protect employment opportunities for locals’ (as it is in every country in the world). What is being proposed is for all employers to in effect become ‘accredited’ with INZ following some no doubt painful exercise in form filling and evidence gathering on a range of issues from human resource policy and processes, track record with employees (disputes, etc), one suspects possible input from Trades Unions (if employers can find a relevant one), a commitment to training and up-skilling locals and efforts to recruit and/or greater use of regional labour market shortage lists. I wouldn’t be surprised to see us going down the (dumb) Australian pathway of forcing employers who want to bring in migrant labour to pay money into some sort of training fund. To be controlled by another Government bureaucracy no doubt to offset any political blowback about not doing enough for the locals. The Government has signalled a carrot and stick approach with more bureaucracy up front for employers but with the promise of less later - presumably for the employers who need to fill more than one position and have regular need to supplement their local work forces with foreign help. I am less certain about the employer that needs to fill one critical role. Experience tells me tat if the employer wants someone badly enough they’ll play the game. Much is left to be explained but these changes are not designed to cut numbers. Interestingly, while the usual political noises about getting young people into work and training and better aligning job vacancies with welfare policies and education outcomes (are we producing enough of the right skills of our own? ), the very brief release also seemed to recognise that we have an economy which is pretty much at full employment and everyone who wants to work, is working. Everyone who wants to be in training, can be. Everyone who wants to increase their skills, has the opportunity. Government has legislated for a higher minimum wage (increasing to $20 per hour in about a year from now). It is clear there is no economic evidence to suggest locals are missing out on anything to foreign workers. One concern I have is with the new proposed ‘Regional Skills Shortage Lists’. Bureaucrats love lists because it means, in theory, they don’t have to think quite so hard. We have had skill shortage lists in one form or another forever - certainly the 30 years I’ve been doing this work. They are supposed to serve two purposes - to tell immigration officers what skills there is a shortage of and therefore, in theory, streamline the visa application process (never seen much evidence it actually works that way) and to send signals to migrants of what we need (never seen much evidence that works either). The lists are seldom accurate and almost as soon as they are released they become obsolete given the wheels of this Government Department turn at glacial pace and by the time an occupation gets on a list the labour market may have moved on. I note for example that despite Auckland needing 900 teachers this year we still don’t see Teachers on the critical shortage list. It’ll get there eventually, possibly when we still need Teachers. Another piece of advice to the Government, as any migrant coming and looking for jobs will tell them, is there is little to no appetite among 99% of employers to employ migrants when there are locals available. What employer in their right mind would jump through all the hoops they must (eased of course for those that retain us to manage the process) if there are locals qualified and available? The answer I can tell the Government is zero. I’ve never met one. Kiwis first. They don’t need Government to tell them to look local - they want local. Employers overwhelmingly recognise that migrants present a potential risk - whether that is through language differences, cultural fit, transferability of qualifications and skills to local market conditions and norms, commitment to staying long term with them (is the migrant only accepting the job to get their residence and then they will leave is a real question we get daily) and grab the local where ever possible. This is why our clients are all fluent in English, a good cultural fit and why the outcomes for our clients with work visas and residence is overwhelmingly positive for both migrant and employer. Although I know I am screaming into a hurricane force wind I would also like to see a Skilled Migrant Residence policy that takes into account the ‘chicken and egg’ that exists in the real world between getting work visas and jobs and break that cycle for the select few we allow to stay permanently in the country. I wrote a blog on this a few months ago. You can read it here. This Government and the Minister in particular has long railed against ‘migrant exploitation’ as if it is commonplace. It isn’t, but as in any labour market there is no doubt that it exists on some level but it is known to INZ what sort of jobs and what sort of industries it takes place in and an entire system doesn’t need to change. Government knows that on the whole it is migrant employers that exploit migrants from their own ethnic or national group. The law was changed a few years ago to come down hard on such employers and there has been some very high profile actions taken against such people resulting in massive fines, loss of property and assets and imprisonment. Employers can in fact lose their own NZ residence if they are found to be exploiting others. What we need is a system that makes it easier to secure work visas based on the real world and not some political construct predicated on ‘all employers are out to exploit so called vulnerable migrants’ which exists only in the minds of politicians and paranoid bureaucrats (one often reinforces the other in a not very virtuous circle). In the end the Government can make whatever rule changes they like - I can with a great degree of certainty reassure our clients that it will make little to no difference to them or their chances of securing work. Employers will face greater scrutiny but that is not new, they do today. If there is one thing this Government knows - we have chronic and worsening skills and labour shortages within this strong and growing economy and with job creation continuing to run into the thousands of new jobs every month, most of which can no longer be filled locally, they are not about to mess with that. So, look out for change but, change ‘light’. Thanks for the info. We stay positive and agree with all you have put into words in your email. Good words NZ government must sort this skills shortage and keep the economy growing or eventually the my will wake up when the economy is negatively affected. I have been struggling many years to make job application when I was in Perth Australia and previously my family went for the Immagine consultation in Singapore hotel in the year of 2012. I was facing the problem in finding the job due to the mining and oil and gas sectors retrenchment. I was applying the student visa to study in Curtin University in Bentley campus and I left after one semester due to university not properly organised the course for the master of petroluem engineering. Finally, I got the VSL Intrafor Hong Kong limited through VSL Australia and was retrenched in October 2018 after fail to tender the new project when the completion of the Hong Kong, Macao and Zhuhai Subsea tunnels. This year I will be 50 years old, Could you advise me the possibility? If I am applying the New Zealand PR to work full time job to finance my Ph.D in engineering program would be the better choice instead? The relocation VSL Singapore was fail due to fail to tender Indonesia LnG plant project. Currently I am unemployed. I am holding singapore permanent residency. Can i get permenant residency in new Zealand. Very interesting article! My biggest gripe is the remuneration issue. INZ states I should be earning $25/h or more but the market does not allow for this. Why would employers employ migrants at a rate higher than locals? My job is on the Long Term Skill shortage list. They need us and then put remuneration in place that makes it nigh impossible to negotiate with prospective employers. It is rare that skilled people earn less than $25 but I know it happens - what do you do? Very good article that provides a better understanding of the reality of the migration process and view from both employers and government. I'm keen to move to NZ. I am a primary school teacher with 12 years of proven experience in the United States but I am from Spain and many times question myself if the hassle of the process is worth it. Is not just the financial effort but the mental challenge as there is not guarantee that even with the right prospect and circumstances the outcome will be positive. As well indicated in the article, there is a shortage of teachers and the profession is yet to be in the critical shortage list. I have the qualifications, experience, adaptability and willingness required, but I'm worried that school principals won't even give me the chance to proof I'm a right candidate due to my nationality. Anyways, I will give it a shot as I feel is worth and honestly think I can make a good contribution. Nice piece of paper. Thanks for your time. This is a 29 year old electrical engineer who got M.S degree. I am single and I also have 4 years work experience. Let me know my chance to satisfy the New zealand immigration points and the whole visa's getting process time. What If I marry a girl who got M.S degree and have IELTS 6.